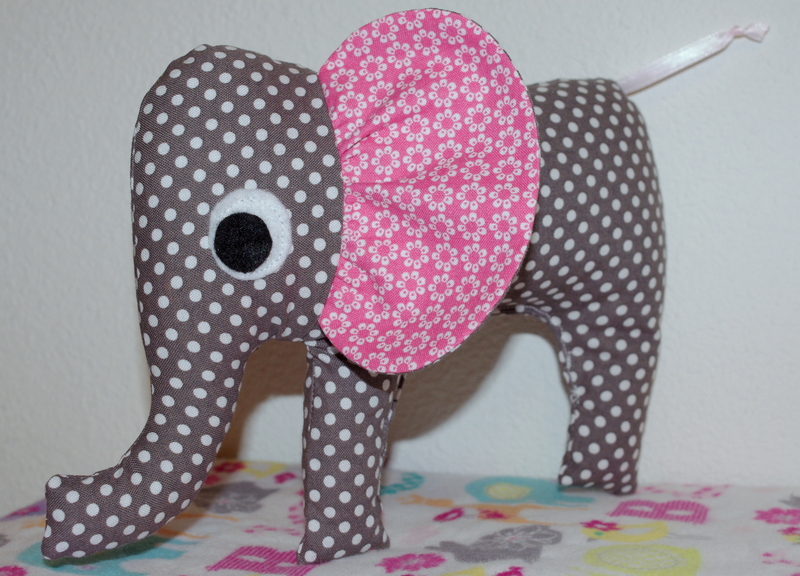 When I saw the tutorial for the Layla the Elephant Softie on the blog, Cutting Corners College by Riley Blake Designs, I couldn’t resist. I thought that it would make a perfect Christmas present for the little one, especially since I happened to have the gray with white polka dots fabric. I think it’s adorable! I’m also thinking this is a good gift idea for friends who have little ones…I find myself making excuses to make more of these. They are just so darn cute!